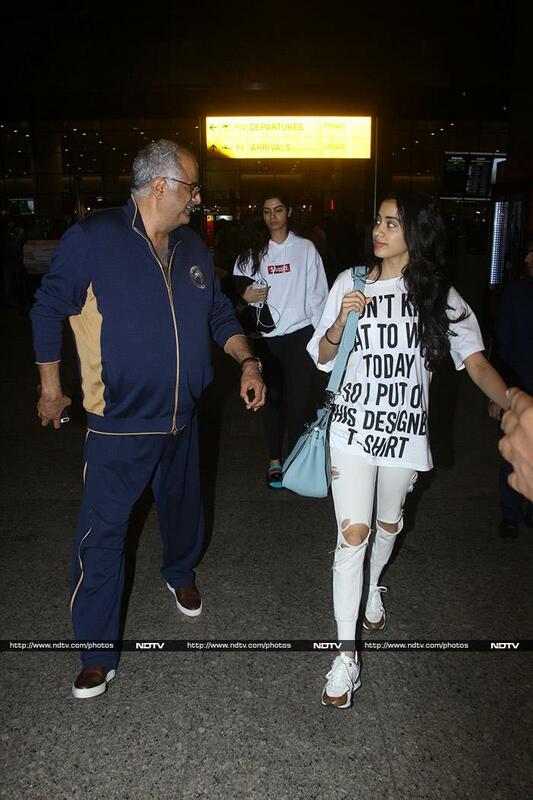 Janhvi Kapoor was spotted at the Mumbai airport on Monday night. 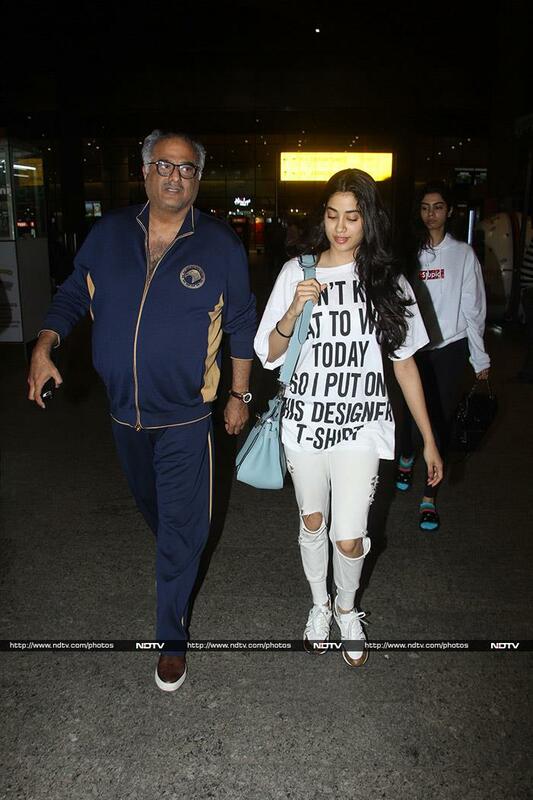 She was travelling with her filmmaker father Boney Kapoor and sister Khushi. It's a yay from us for Janhvi's tee obsession. "I didn't know what to wear today. So, I put on this designer t-shirt," reads the slogan tee. 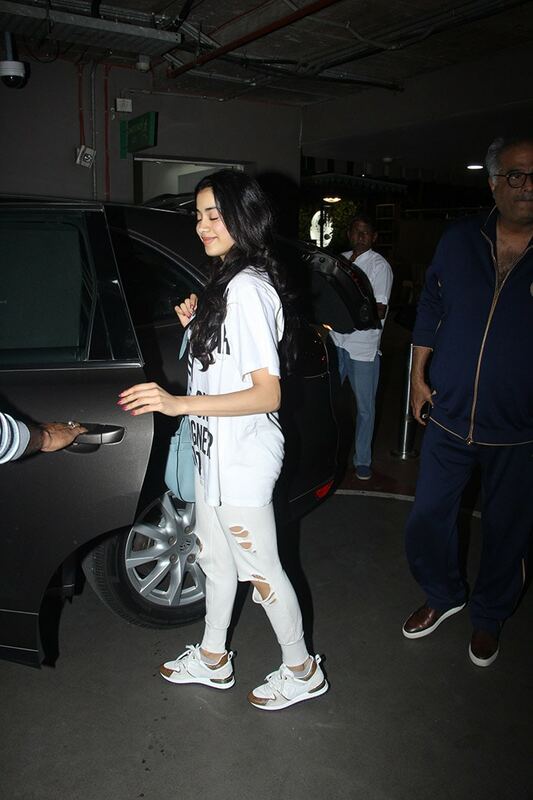 She paired her white pair of distressed denims with the white tee and a white pair of sneakers. Mouni Roy, en-route Kolkata, was dressed to beat the summer heat. We love actress Raveena Tandon's monochrome airport look! Sussanne Khan was also a fellow traveller on Monday night. Bobby Deol was patient with the paparazzi at the airport.